Waterproof Scales were recently sold to a major poultry supplier for use in their chicken processing lines. Supplied by Accuweigh ’s Melbourne branch in Springvale, the waterproof scales were necessary to eradicate potential scale damage caused by water ingress. The scales are fully sealed for use in wet environments, eliminating the need to remove the scales from the processing line during wash down operations. 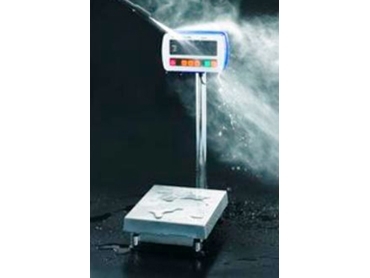 The A&D Australasia's SC Series waterproof scales were provided to maintaim optimum weighing efficiency for the client.